Tip: Healthy spiciness during lousy weather! Coming from Hamburg we unfortunately know too well: When it is cold and damp outside and first cold symptoms are around, time has come for a warming cup of tea. But have you already tried one with turmeric? 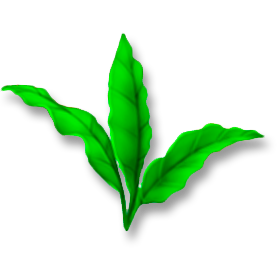 In the traditional Indian medicine „Ayurveda” this spice is said to have an energizing and purging effect – this makes it a perfect ingredient for a tea against colds. 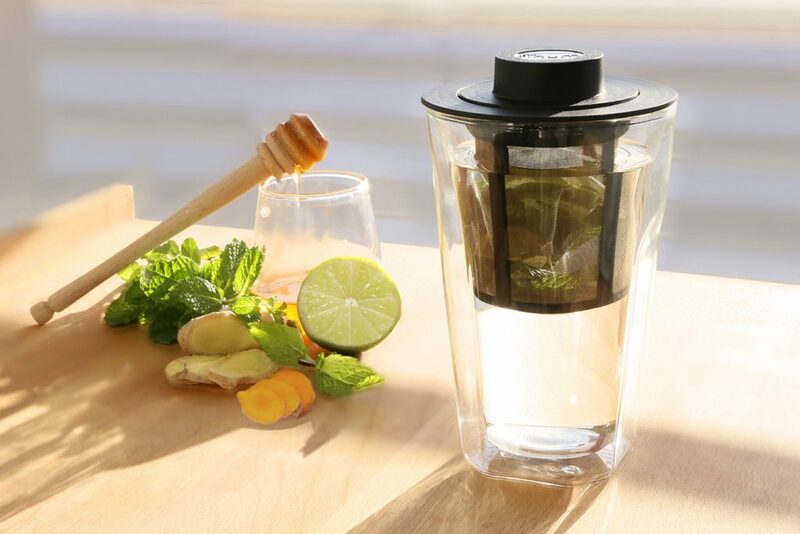 Add a little lemon juice, fresh mint and a piece of ginger to the fine stainless steel sieve of the SMART BREW SYSTEM™. Add a pinch of turmeric and pour hot water over it. When dried, the powder tastes mild-spicy and slightly bitter, but in the end honey completes the flavor and has a soothing effect on the throat. Simply healthy and spirit refreshing! 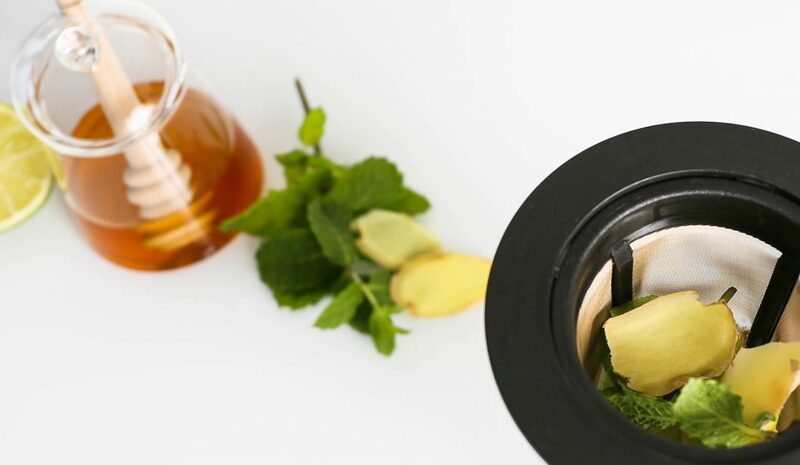 The lemon provides vitamin C for the immune system, mint and turmeric stimulate the bile and ginger has an anti-inflammatory effect. 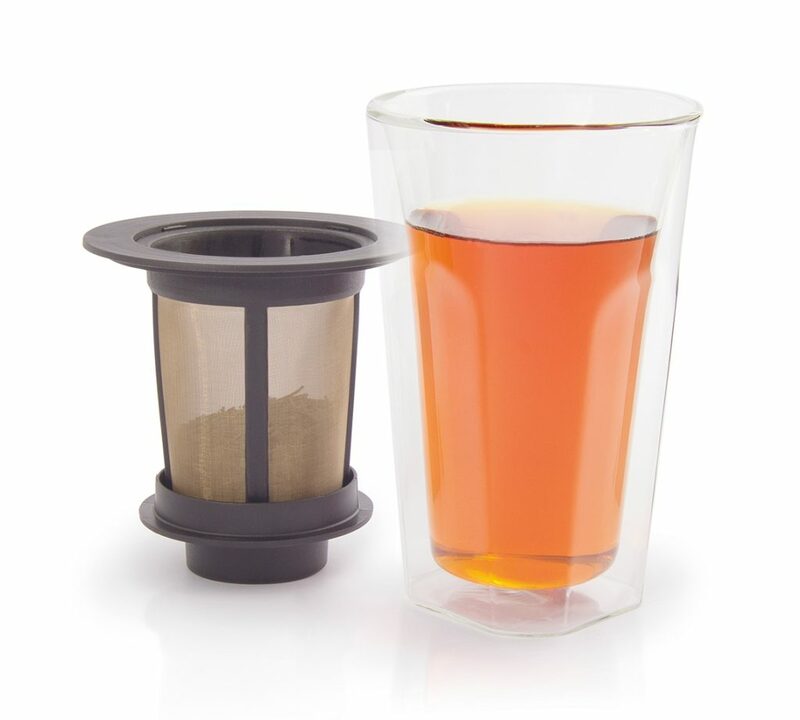 While the tea is infusing, the outside of the glass remains cold and the warmth is kept inside the glass. 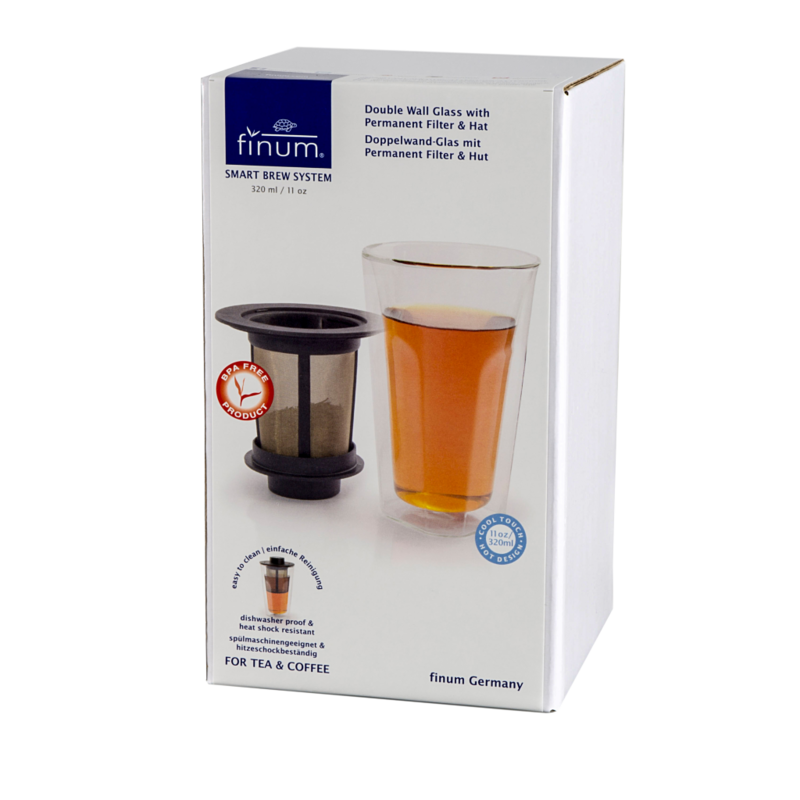 This enables a longer and pure enjoyment as the tea stays hot for a longer time. The functional „hat“ may also serve as lid or drip-off tray.